Sell Your House Fast.. Be “Done” With That Property. We Will Buy Any House In Any Condition & Price Range In Your Local Area. (No Gimmicks Or Scams) Just A Simple Solution. See How Our Process Works. No obligation. >>>> We Are NOT a listing company, We Are Direct Cash House Buyers. 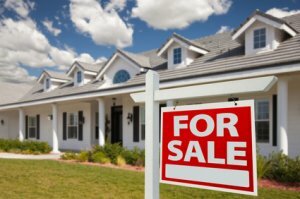 Should You Contact Us About Your Real Estate Property? If you have a house that needs a TON of work but you don’t have the time or money to fix the house yourself…then yes. If you or the family inherited a property but have no interest in keeping the property because it to outdated and needs to much upgrades…then yes. If you are tired of trying to sell your house but can’t because you’re upside down on the mortgage...then YES. If you are losing sleep, overwhelm with stress, it’s making you cuss and you’re ready to say goodbye to that property…then YES. We have helped many other local homeowners with all of the above and more. And we can help you! If you are in a similar situation or face your own unique set of problems with a property you just want to “be done” with, give us a call at 866-428-3204 and speak to one of our real estate experts. Does Selling Your House Have To Be Stressful? No! Think You Have Time To Sell Your House? It Could Take Longer Than You Think And More Money Out of Your Pocket… Call Us Now! You’ve tried to sell your house with an agent. Sometimes selling a house the “traditional” way with a real estate agent is simply not the best for everyone. We help property owners just like you, in all kinds of situations. From divorce, foreclosure, death of a family member, burdensome rental property, and all kinds of other situations. We buy houses with our own cash, no matter what condition the property is in.